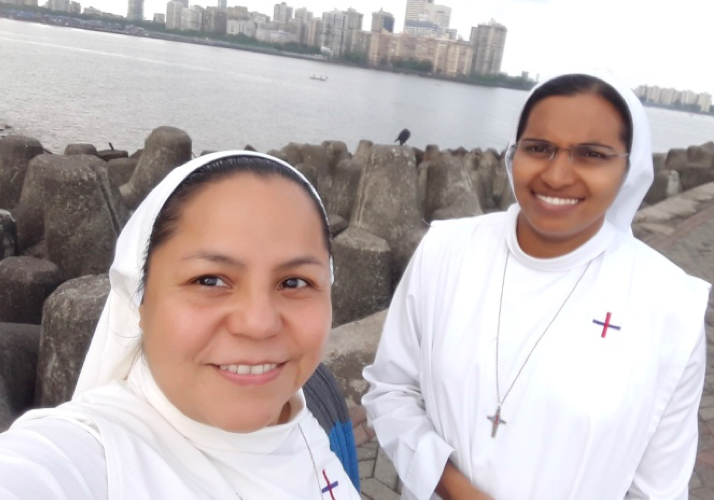 We visited Mumbai with the objective of summiting the documents of Sister Alphonsa in the General Consulate of Spain. We had a good time over there, to move in the city was easy by train and bus and we met people who showed kindness and respect to us. Mumbai is a city with a lots of contrast, as many cities, but the specialty of this city is slum areas. From the flight, while landing, we could see blue sheets everywhere, and we were asking each other what this could be? But just a little time after we realised, when we came out of the airport, the sad reality of the slums of Mumbai city and we felt this is a mission area for us, The Trinitarians.